Welcome back to our Skin Care First blog series! Starting with a fresh slate is extremely important to how you’re going to apply your makeup and how you’re going to choose products, as well as skin health. Enter exfoliating. We’re sure you’ve seen all kinds of purging products for your skin. However, some of these are just plain bad for your skin and it’s best to leave some extractions to the professionals. But in the meantime, there’s so much you can do to make sure your skin remains fresh and soft. There are different types: industrial, which is what we’ll call the professional exfoliating services you can purchase, and physical exfoliants, commonly called “face scrubs” and chemical exfoliators. You’ve seen these around for sure. They generally appear as a cleanser with micro-beads or scrubbing particles that you’ll be able to feel with your bare hands. They’re referred to as face scrubs, and will certainly help buff away those layers of dead skin cells which gives it the rougher texture and makes your pores look larger. These commonly contain physical exfoliants like jojoba beads, plastic microbeads, sugar, salt, bamboo beads, nuts, rice powder, and baking soda. You can include the Clarisonic cleansing brush as one of these physical exfoliants as well. These are a great way to remove dead skin cells for smoother makeup application, smoother skin, and to bring forth that lovely glowing property in your skin. This type of exfoliant is great for dry skin that’s constantly flaking off. Be careful though: some exfoliants can pick up bacteria and transfer it to other parts of your face and can cause acne because of that. This can be avoided by using them the advised amount of times per week. Once or twice per week for an exfoliant is a good number to make sure your skin doesn’t become too thin or dry. This is the low-key version of the chemical peel. It can include similar acids but less concentrated so that they are same for home use. You can divide the chemical exfoliants into two types: AHAs and BHAs. AHAs are alpha hydroxy acids which are derived from natural sources like glycolic acid comes from sugar cane, lactic acid from milk, malic acid from apples, citric acid from citrus, and tartaric acid from grapes. These are all water soluble and can enhance the skin’s moisture levels. You can find specific cleansers that feature these acids as well as some toners. BHAs are Beta Hydroxy Acids which usually appear as salicylic acids; these are very similar to AHAs but have a couple differences. These acids will work more deeply within our skin, like the lining of your pores. They tend to be oil soluble, which makes them the number one choice for oily skin. They’re also the best at calming red skin, so you’ll see these acids used for rosacea. The Microderm, or microdermabrasion, is a term for using tiny rough grains to buff away the surface layer of skin. It’s a great procedure that both medical clinics and salons offer. The service is generally performed on the face, chest, neck, arms, and hands. The process works at eliminating the stratum corneum, the top most layer of skin. This layer allows moisturizers and other skin treatments to melt through to the skin cells beneath, the layer where you’ll find blemishes and signs of age. When you get a microderm, you remove the stratum corneum which the body interprets as a low-grade injury. Your body then pushes fresh skin cells up to the surface to replace the missing ones. You’ll notice in the first hour after getting the treatment done you’ll notice a slight swelling or redness because of this process taking place. This will make your skin look and feel smoother, and some of the skin’s physical imperfections will disappear like sun damage, blemishes, and fine lines.Without that barrier of dead skin cells resting on the top, creams and other skin treatments will seep into your skin more completely. It’s encouraged that you get these done regularly at first. Studies show that continued treatments will affect how the base skin cells grow and will help to get rid of deeper blemishes much quicker. The continued loss of older cells will push your skin cells into overdrive and they’ll be sure to push fresh cells to the top, keeping you looking younger and healthier. There are two types of microderm commonly used in salons, diamond and sand exfoliants. The diamond uses a diamond tip and is much more effective because of the finer grain, but sand works just as well and is much more affordable. Both are a great way to vanquish blemishes and help with the overall youth of your skin which makes makeup application much easier! Superficial, or a lunchtime peel: They’ll apply a chemical called alpha-hydroxy acid, or another mild acid, to penetrate that same outer layer of skin to gently exfoliate it away. This can improve mild skin discoloration, will refresh the skin wherever it’s applied, and will eliminate those pesky rough patches. Medium peel: You’ll often see chemicals like glycolic or trichloroacetic acid applied in small amounts. This peel can reach all the way down to the middle layers of skin and remove damaged skin cells like age spots, fine lines and wrinkles, freckles, and some skin discoloration. Deep peel: This peel uses phenol or trichloroacetic acid to successfully infiltrate the middle layer of skin to do the same as the medium peel for age spots and other kinds of damaged skin cells; however, while you’ll often see a dramatic improvement in the skin’s imperfections, it’s important to remember that this process can only be done once because of its pretty invasive properties. Exfolikate. It’s pricey, but it’s called the microderm in a bottle for a reason. And in comparison to paying at least $50 per Microderm, when you’ll need around six to see solid results for your deep tissue blemishes, then $85 doesn’t sound so bad. We suggest Clarin’s One-Step Gentle Exfoliating Cleanser with orange extract. The orange extract will offer a tiny pick-me-up for the mornings, and the beads aren’t too harsh. Try Mario Badescu’s glycolic acid cleanser for a more regular application of something slightly exfoliating. This line gets their reputation for being naturally based, and the foaming cleanser is gentle enough not to irritate oily skin, but will keep those oil productions at bay. 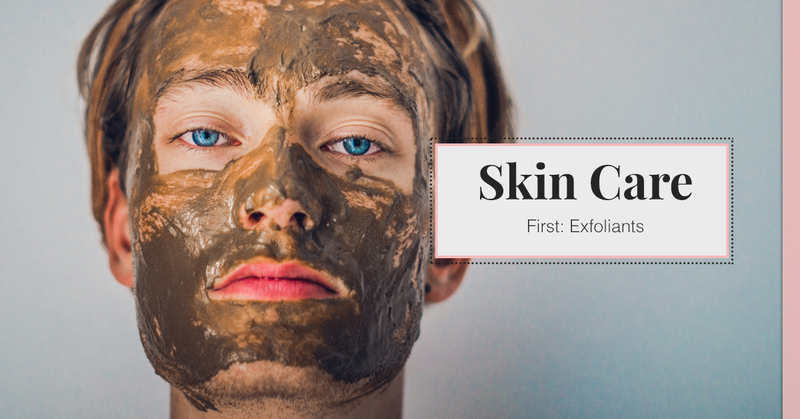 Be sure to come back for our next Skin Care First blog entry, where we’ll be covering what kind of cleanser you should use for your type of skin. Building a decent skin regimen is the first step to making sure your makeup applies evenly and brings out your beauty like it should. Ready for a consultation? 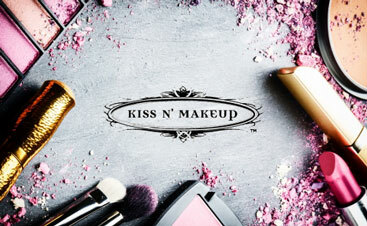 Contact Kiss N’ Makeup in Austin for all of your makeup needs. We’re excited to design a look for your every day, and we’d be delighted to help you find that special style for your wedding day.